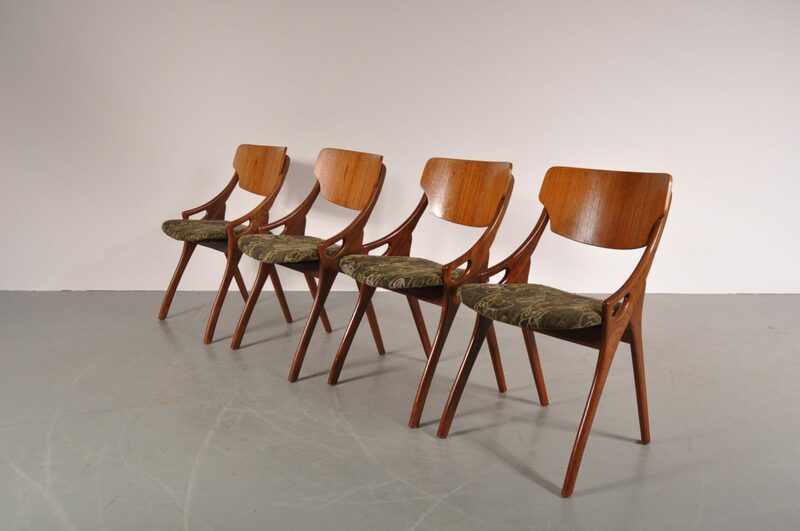 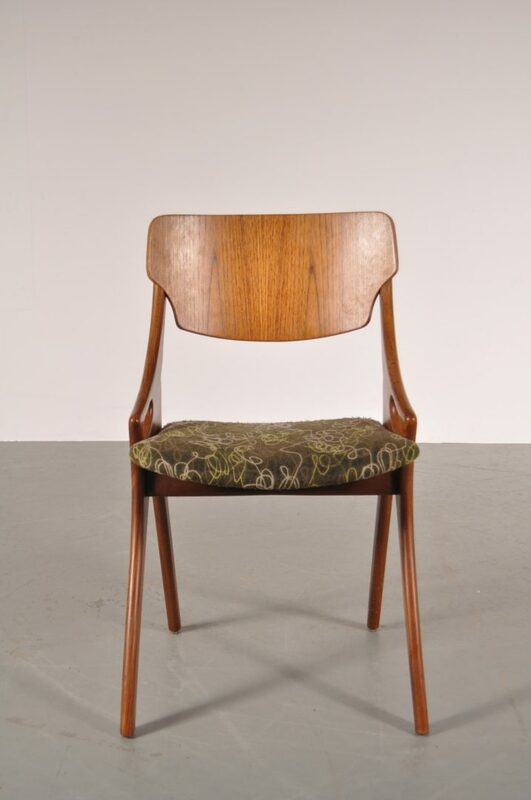 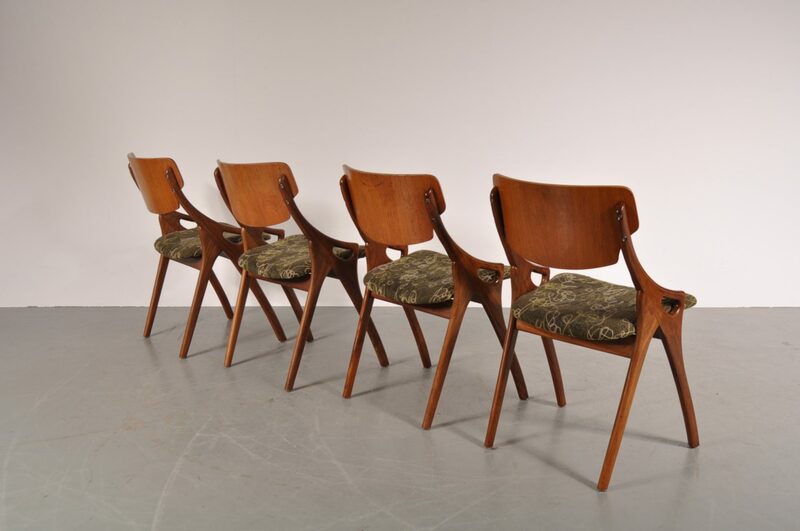 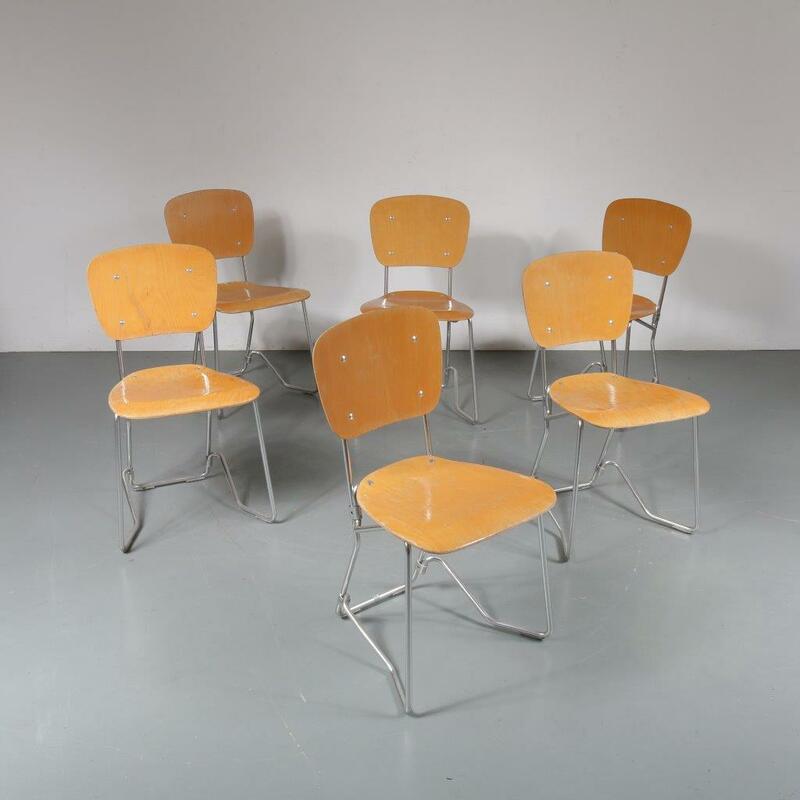 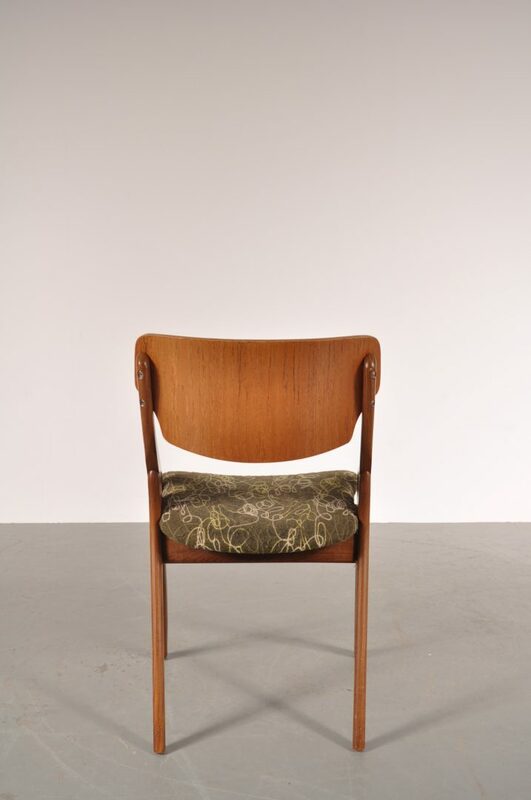 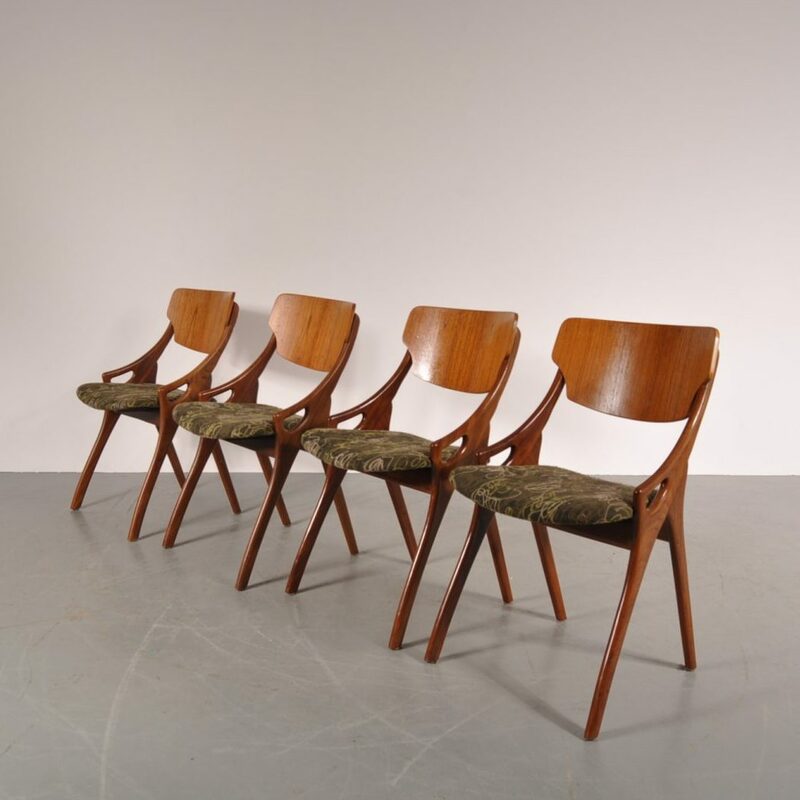 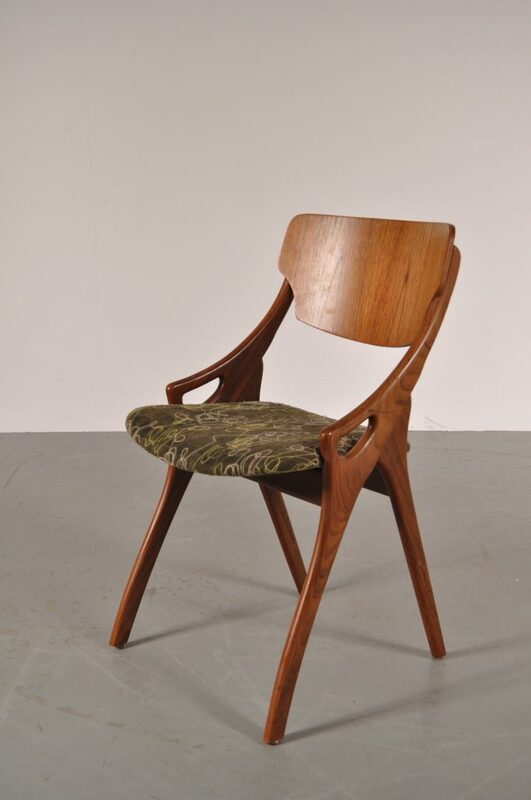 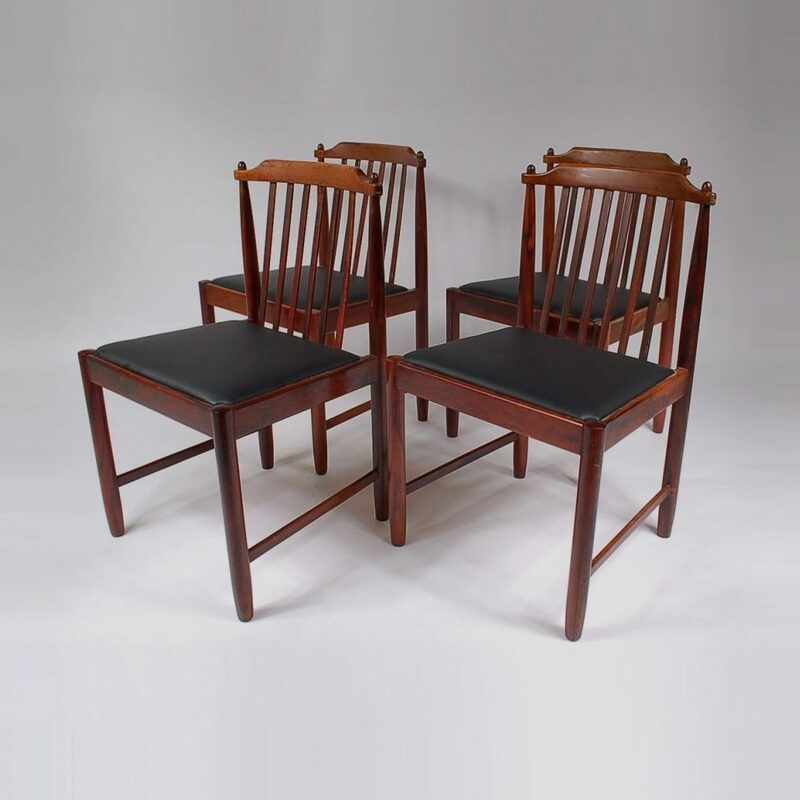 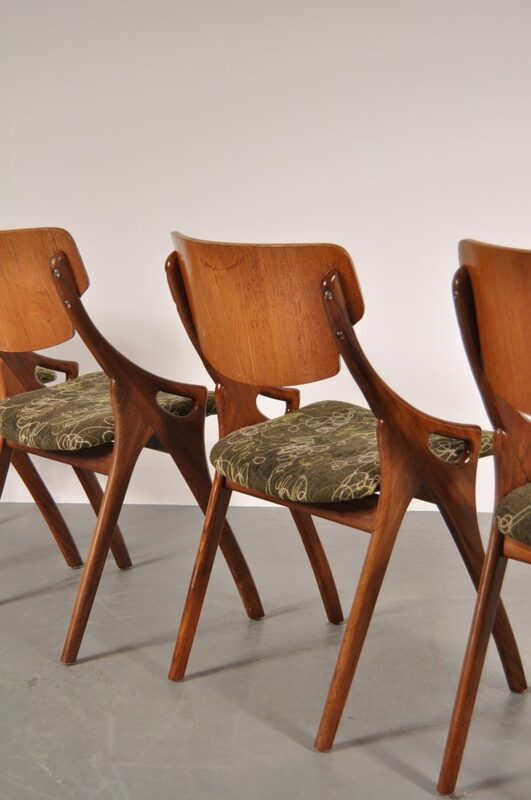 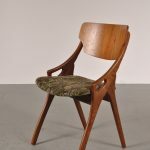 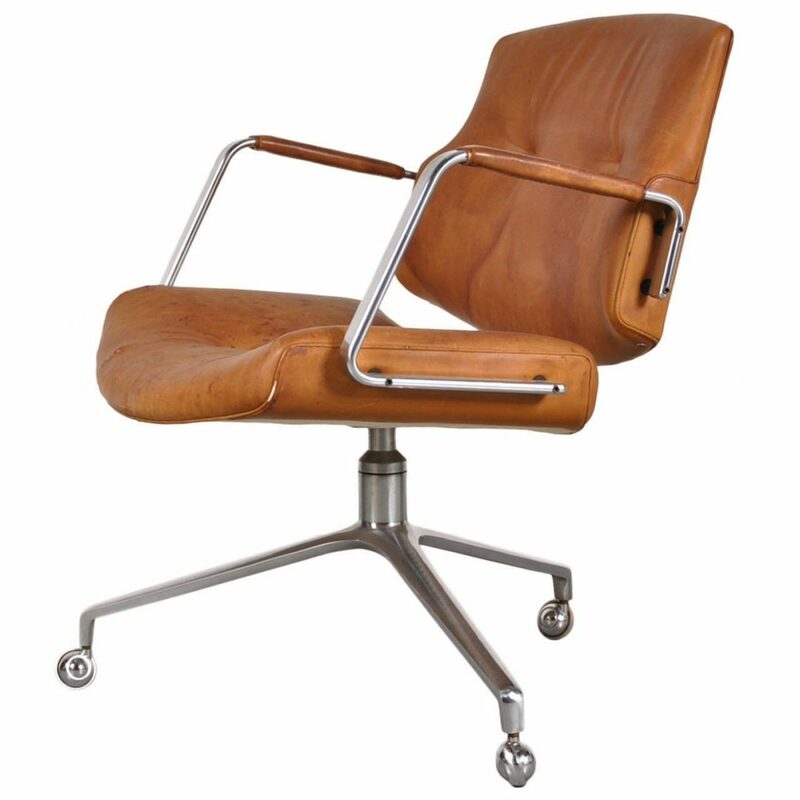 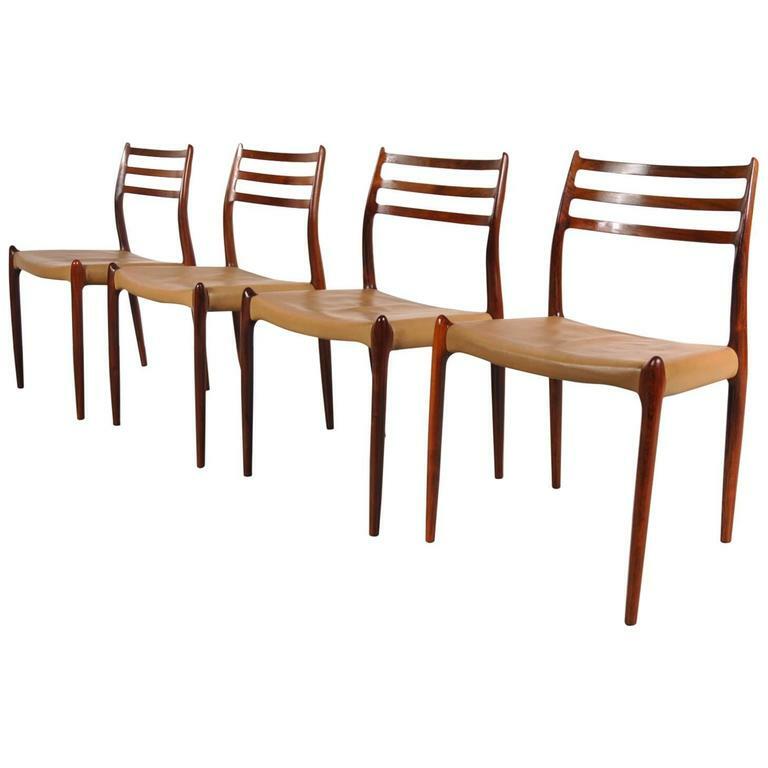 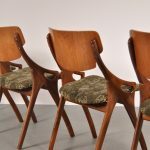 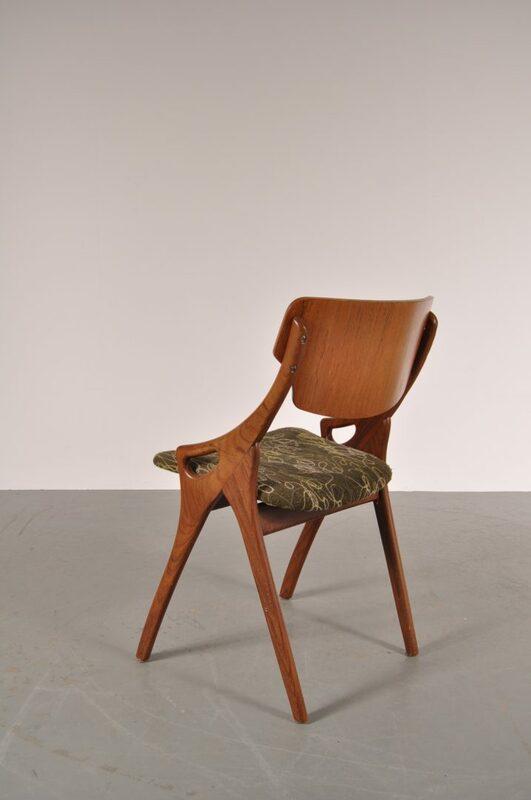 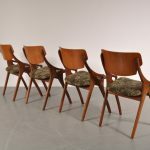 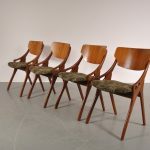 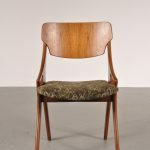 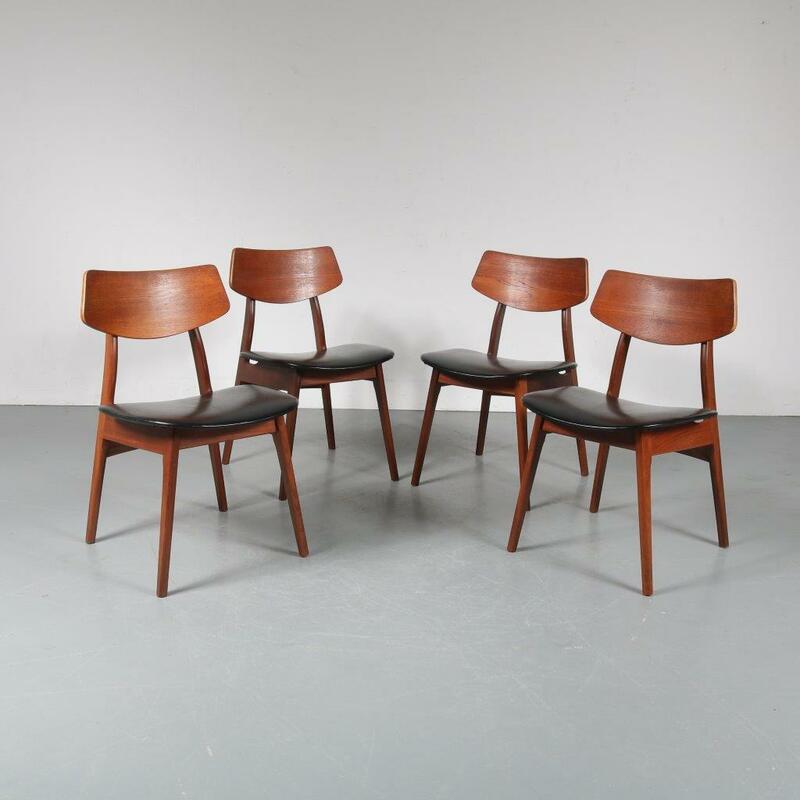 A beautiful set of four teak wooden dining chairs by iconic designer Arne Hovmand Olsen. 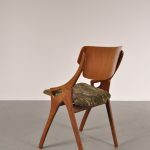 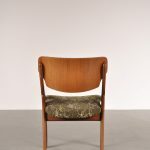 The chairs have a beautiful, deep brown colour that matches beautifuly with the green fabric upholstery. 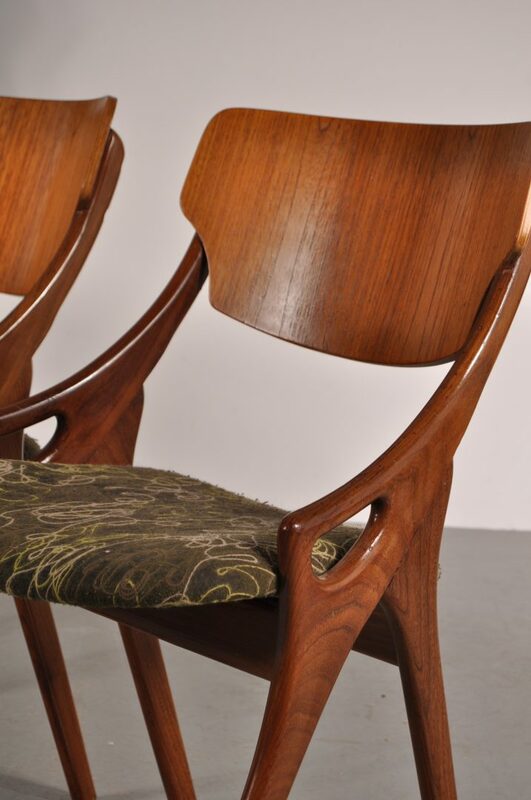 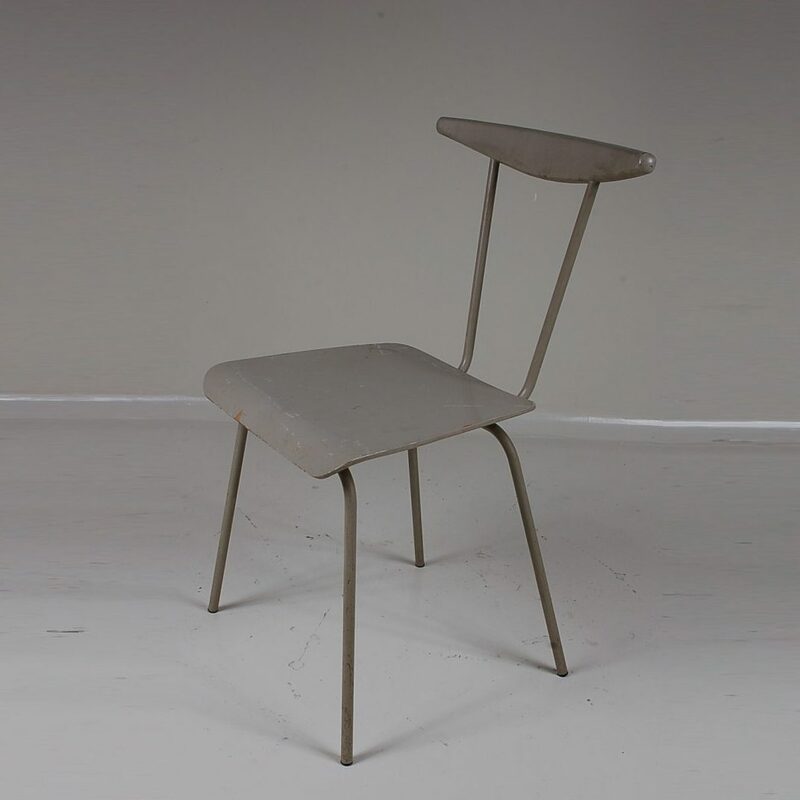 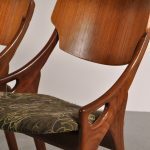 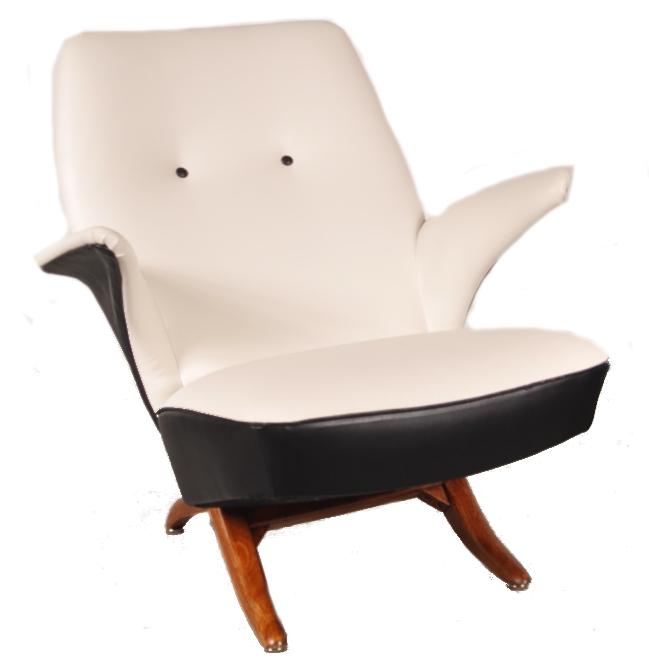 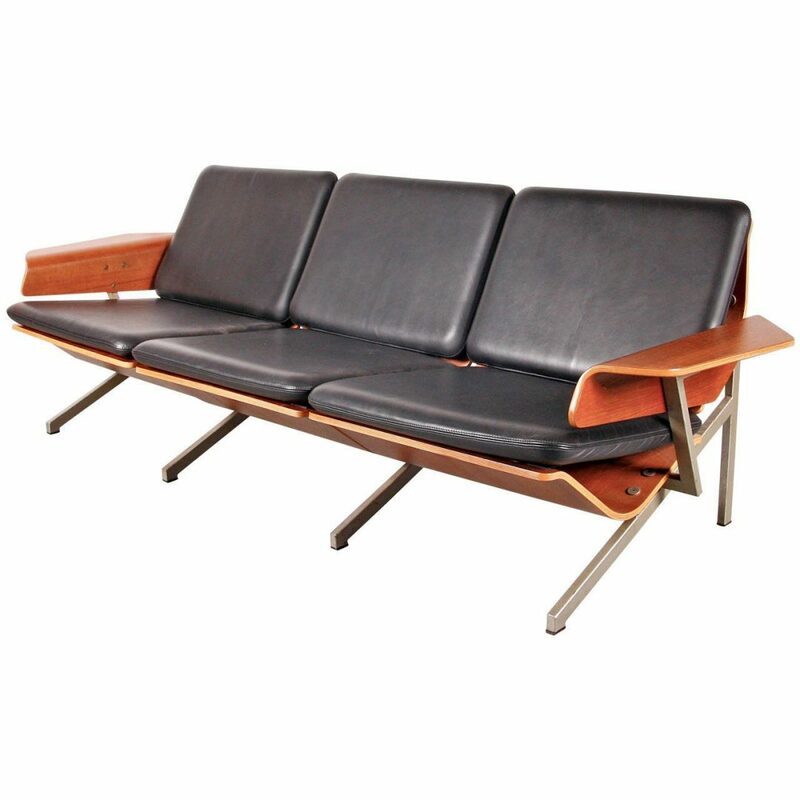 There is a subtle retro pattern on the upholstery that gives the chairs a very unique style and a comfortable seat. 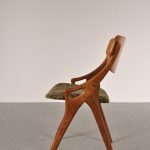 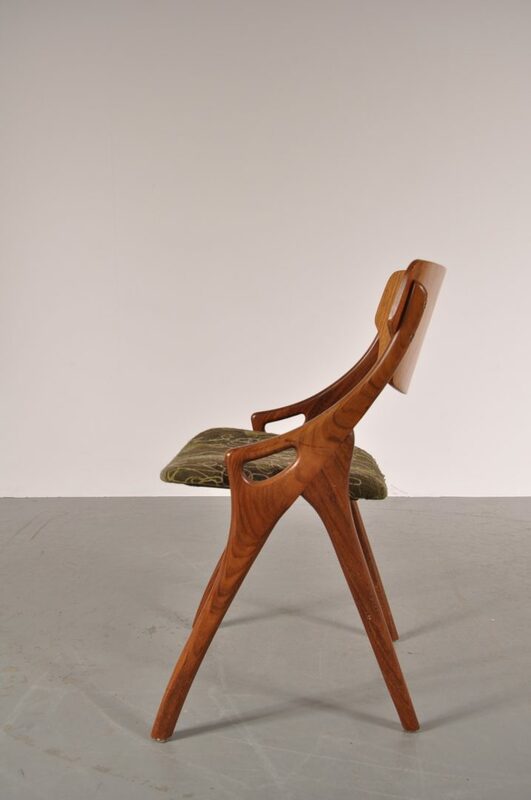 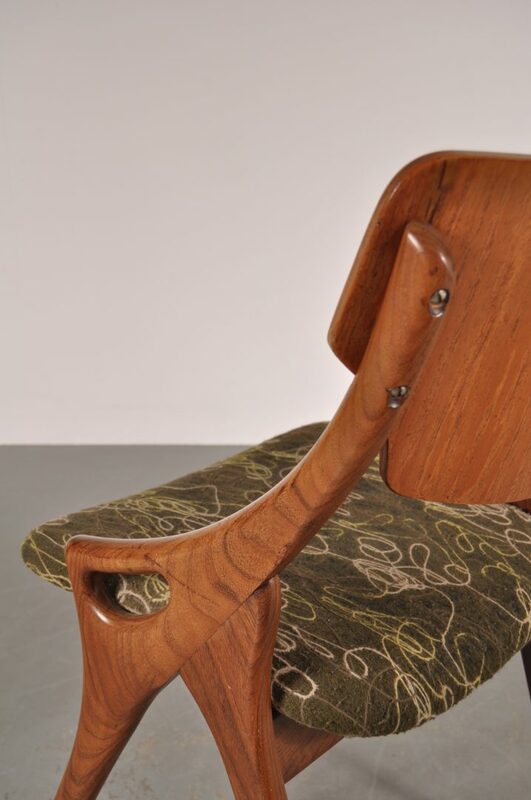 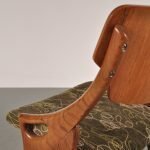 The armrests have a nice sculptural design that makes these chair truly stand out, ready to compliment your modern / midcentury interior!